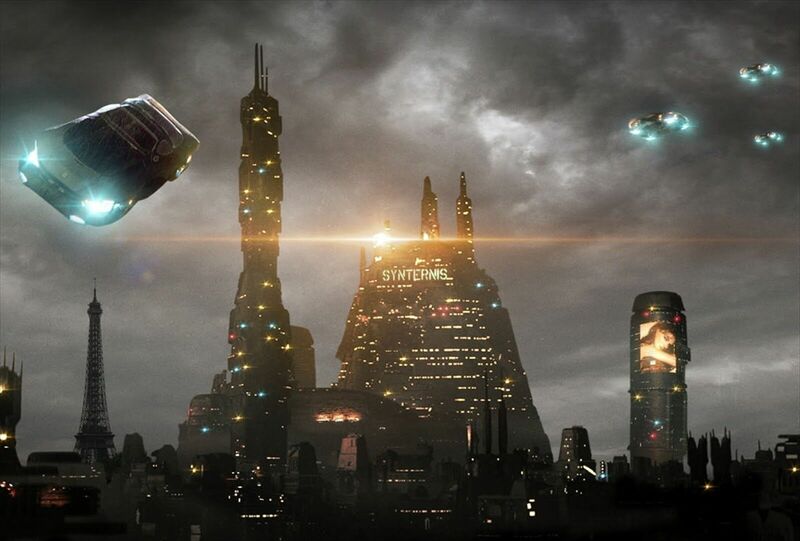 2047: Virtual Revolution takes place in the city of Neo-Paris in the year 2047 (duh). 75% of the world’s population, “the connected”, spend the majority of their lives inside of virtual worlds called verses. Each verse is a sort of MMO-style VR game in which the user is essentially plugged in like The Matrix. In this future, “the connected” are paid a universal income to help cover food, rent, and fees to play their game of choice. These people have no interest in the real world and live short lives due to their sedentary lifestyles. Some people, called “hybrids”, choose to play the games but still have real-world jobs and lives. Our protagonist, Nash, falls into this group. Nash is a shadow agent, a sort of private investigator/assassin. He works for the Synternis Corporation, makers of one of the more popular verses. His job is investigating crimes that take place inside the verses and eliminating the perpetrators. Nash’s handler from Synternis summons him to investigate a terrorist group calling themselves the Necromancers. The Necromancers try to disrupt the verses in order to make people disconnect and live real lives. They manage to develop a virus that allows them to kill players connected to a verse with an electrical charge through their connection. The Necromancers kill 148 players in a single attack. Synternis wants Nash to hunt down and dispatch as many terrorists as possible. The movie follows Nash as he investigates the Necromancers, uncovers the truth behind their movement and the corporations that control the verses. One thing you will notice about this movie is how familiar everything feels. 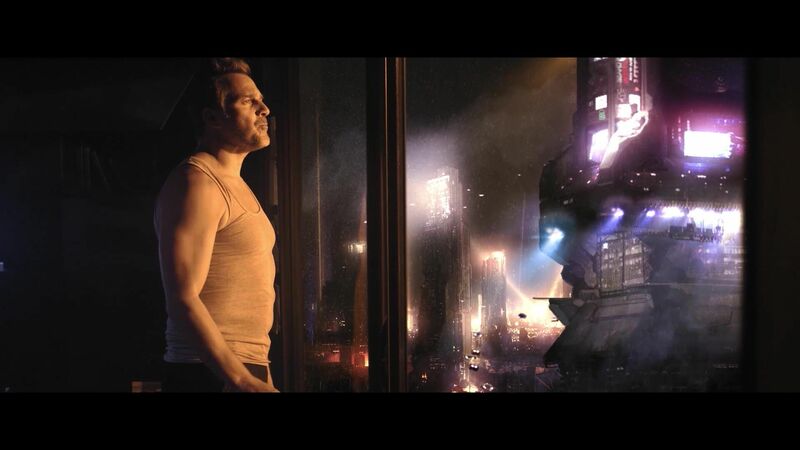 A lot of 2047: Virtual Revolution is incredibly similar to other, better movies. Neo-Paris will remind you immediately of the future L.A. presented in Blade Runner, and Nash is basically a poor man’s Rick Deckard. The verses will remind you a lot of Westworld or The Matrix. Giant, shady corporations run the world like a million other sci-fi movies and shows. Even the sequences set inside of the verses felt like homages to several games I’ve played. The two verses that Nash enters in the movie are basically World of Warcraft and Destiny. 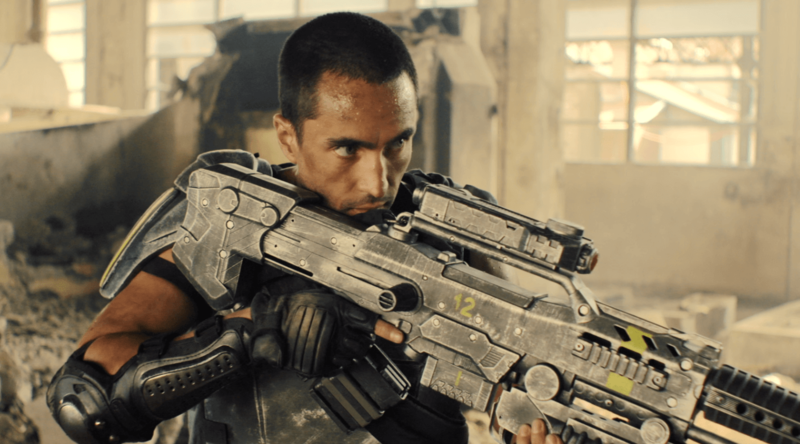 For a sci-fi movie with a lower budget, 2047: Virtual Revolution looks pretty damn good. 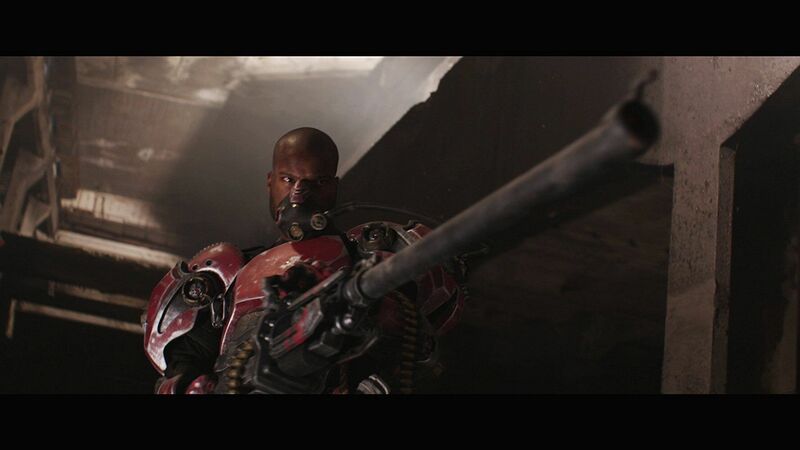 They actually did a really good job on the CGI, and there are some really cool looking scenes with decent effects. This is especially true for the ones that take place in the verses. Also, the action sequences in this movie are fun and well-choreographed. The action is one thing this movie nails. That’s good because it spends the rest of the time clumsily hammering the viewer over the head with its message. The movie’s message is pretty clear right from the get-go: escapism will ruin humanity. This doesn’t stop the movie from beating that horse any chance it gets. This wouldn’t be so bad if the dialog wasn’t so clunky all the time and the acting wasn’t so wooden. Because of how hard it hammers this message throughout the first two acts, I was not expecting the movie to make the shift it did in the third act. I really enjoyed it. I’m not sure my reaction met the director’s hopes. I spent a lot of the third act laughing at how ridiculous it was. It was certainly not what I was expecting to happen. I have to say that even though it left me laughing, it made the movie more enjoyable. The way that the movie ends is a lot more believable than how I expected and is much better for it. 2047: Virtual Revolution feels like a Frankenstein movie made from pieces of better movies, but still manages to be a pretty fun ride. I will admit to this score is a bit higher than a movie of this caliber deserves, but I’ll be damned if I didn’t have a good time watching it. If you are a fan of sci-fi, check it out. It’s available digitally and also on Blu-ray.